If you are even remotely following the news, you know that the Steve Jobs biography is about to go on sale. You don’t need me to tell you about Job’s great contributions-that will be discussed by greater minds then me. 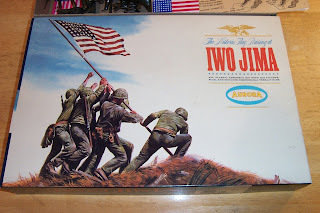 But one of the missions of this blog is to inform you of what's hot on eBay right now. I also like to be topical, discussing events currently in the news. So I'll point out an obvious truism...stuff associated with Steve Jobs can sell for a lot of money on eBay. As we’ve seen in the past, whether it's Elvis, Micheal Jackson or other icons, people want stuff associated with that famous person. Naturally, this is now happening with most anything related to Jobs. A few examples stand out. 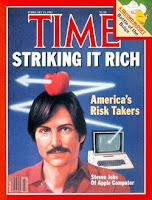 For a very long time, hard-core Apple enthusiasts have sought the Time magazine issues which feature Jobs on the cover. 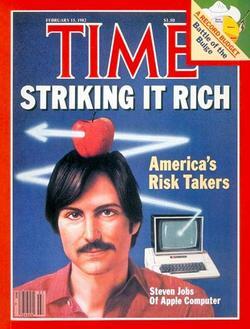 Of particular interest is the 1982 copy featuring Job’s first appearance on Time’s cover. (seen above) Since then, Jobs has appeared on the cover several more times. Each one is highly sought after by the Apple collectors with the older covers obviously selling sell for more. But either way, if Jobs is on the cover of a magazine, it's worth something. Just a few weeks ago, a 1982 Time cover sold for $162 dollars! You can expect to see other copies go even higher. So when you're at the yard sales, it’s worth your time to flick through any old stack of news and computer tech magazines looking for Steve Jobs covers. My sons are big Apple users and huge admirers of Jobs. So several years ago, I learned of an unauthorized “Steve Jobs” plush toy doll that was selling like hot cakes on eBay. The doll was an eight inch likeness of Jobs, right down to his trademark glasses, black shirt and Levi jeans. It was so popular that the doll company sold out of the figures quickly and you had to back-order it and wait for more to be made. I ordered two for my guys, but I never received them because the company was slammed with a cease and desist order from Apple. (Apple is extremely protective of their name and Jobs' likeness.) Needless to say, those rare dolls can't be found anywhere today. But imagine what one of those dolls would sell for today on eBay? The sky is the limit! 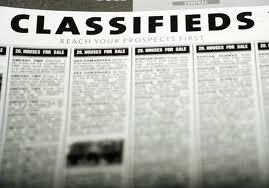 Dude's Postscript: Just looked them up, they are selling for as much as $500 on eBay! Another highly sought after Apple item is the "Think different" poster series. These posters were produced by Apple as part of an advertising campaign from 1997 to 1998 and feature such icons as Thomas Edison, Jim Henson, Bob Dylan and other historical figures. 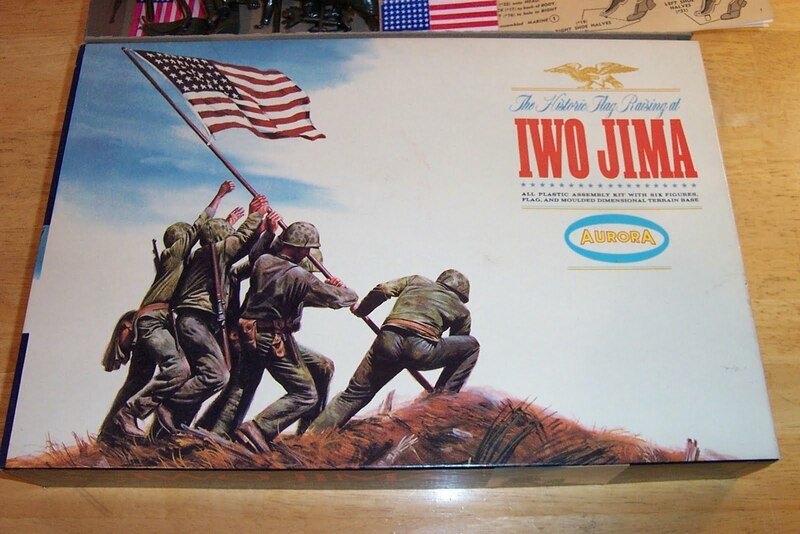 Some of these posters today easily fetch $1000 or more on eBay. If you find an original "Think different" poster at a garage sale, it's definitely your lucky day. But be careful, like anything else there are knock-offs out there. Take a look yourself on eBay-you'll be amazed at the variety of Steve Jobs stuff listed. I guess everyone wants to own a piece of an Icon.